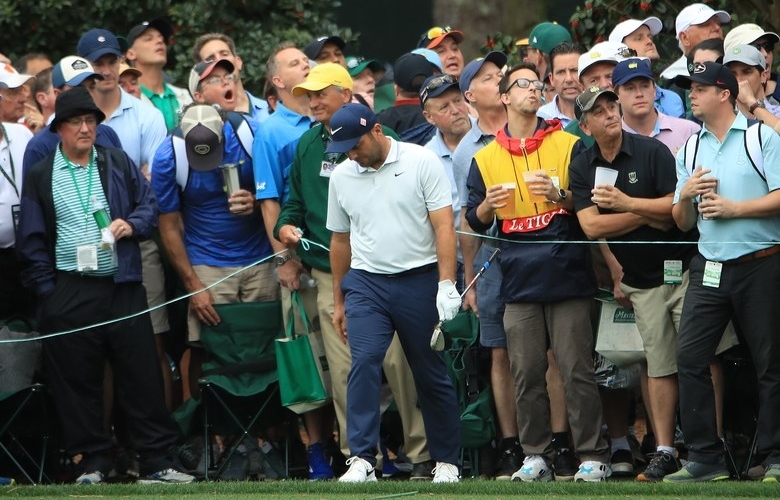 AUGUSTA, Ga. — It wasn’t to be for Francesco Molinari. A tie for fifth wasn’t quite what the 36-year old Italian had in mind before the final round of the 83rd Masters, one he began two-shots clear. Nor was a closing round of 74 that left him on 11-under par and two-shots adrift of Tiger Woods. Nor was a swing that felt “handsy” — an old propensity apparently — over the front-nine. Which leaves the two swings that did most to capsize the Open champion’s challenge for a second major title. Both ended their lives underwater, first on the 12th and secondly on the 15th. Perhaps the only consolation for the world No.7 was that his metronomic putting stroke maintained its consistency to the end. Even when his run of 49 holes without a bogey came to an end, he holed out unerringly.